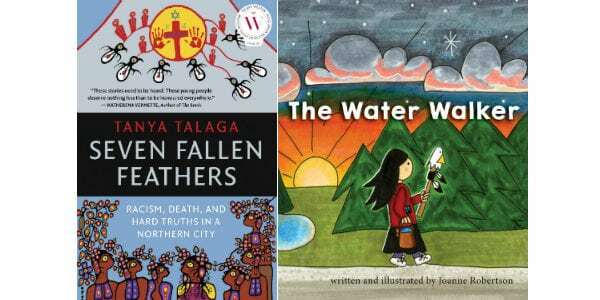 A jury of Indigenous librarians from across Ontario have selected Tanya Talaga’s Seven Fallen Feathers: Racism, Death, and Hard Truths in a Northern City (House of Anansi Press) and Joanne Robertson’s The Water Walker (Second Story Press) as the winners of the fifth annual Indigenous Literature Award. Each author receives $3,000. Robertson’s picture book The Water Walker won in the children’s category for its true story of Ojibwe clean-water activist Josephine Mandamin, who has hiked 25,000 km along the Great Lakes and other bodies of water to raise environmental awareness. Talaga’s Seven Fallen Feathers won in the Young Adult/Adult category for its exhaustive reporting on seven teenagers who died between 2000 and 2011 in Thunder Bay, Ontario. Both authors will be celebrated at Toronto’s Yonge/Dundas Square on June 27 as part of National Indigenous History Month.